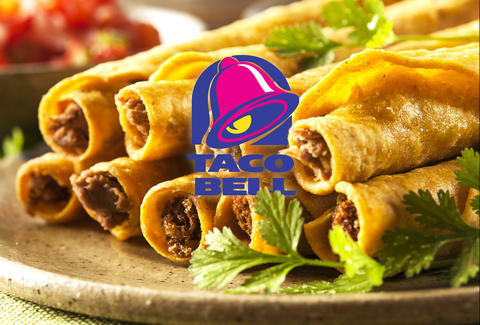 Fans of Taco Bell's recently increased roster of menu items (all their new Sriracha stuff, DUH) will have even more to get excited about once Taco Bell rolls out its newest rookie players: ROLLED CHICKEN TACOS, also known as taquitos. These babies come in packs of two with one dipping sauce, packs of three with two dipping sauces, or "party packs" with six taquitos and three dipping sauces. Always be partying. The taquitos feature shredded chicken that's rolled into tortillas and deep-fried, and will be available with four dipping sauce options: Chipotle, Nacho Cheese, Chunky Salsa, and Spicy Ranch (which its redditor proponent Ziyen describes as "really good", so there's that). Taco Bell has even confirmed their existence on reddit, and an official announcement is forthcoming. For now, all we can do is taco 'bout them. Adam Lapetina is a Food/Drink staff writer for Thrillist, and plans on rolling into Taco Bell once they're finally on the menu. Read his musings at @adamlapetina.